Bram Stoker was a master diction writer who created the popular character Dracula, with his masterpiece of the same name. This biography profiles his childhood, life, career, timeline and accomplishments. Bram Stoker was an Irish novelist, who created the character Dracula with his Gothic novel of the same name. His science fiction writings reflected this interest in varied subjects. He supported the Liberal Party of Ireland and took keen interest in the Irish affairs. He believed in the Home rule of Ireland brought about by peaceful means. Being an ardent monarchist, he believed that Ireland should remain within the British Empire and that it was good for Ireland’s development. His fictitious character of Dracula, the vampire, has continued to garner fame and inspire many films, theatricals and other literary creations, for more than a century. He was employed as an auditor of the College Historical Society and also as the president of the University Philosophical Society. 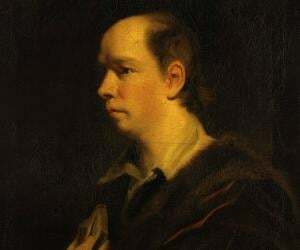 He had varied interest in the creative genre which led him to found the Sketching Club of Dublin. Anthologists frequently include Stoker's stories in collections of horror fiction. "Dracula's Guest," originally intended as an introductory chapter to Dracula, is one of the best known. 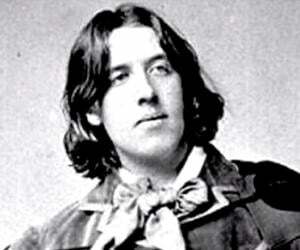 He was a fan of the Romantic Movement and was a friend of Oscar Wilde. During his lifetime, he was known as the personal assistant of actor Henry Irving and as the business manager of Lyceum Theatre in London. Bram Stoker was born on November 8, 1847 to Irish Protestant parents, Abraham Stoker and Charlotte Matilda Blake Thornley Stoker at Clontarf, Dublin. He was a sickly child and bedridden for most of his boyhood. By the time he reached Trinity College he was strong and athletic. His imagination was fuelled by the stories his mother told him. 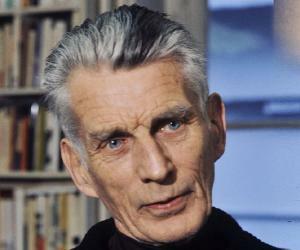 His interest in Irish folklore, supernatural and the occult went on to become the themes of writings. He graduated from Trinity College, Dublin, Ireland with honours in mathematics in 1870. He joined the Irish civil service and served for ten years. His father was a civil servant at the Dublin castle, which was home to the British Royals in Ireland. This influence helped him to join the civil services. As a student, he became interested in theatre, influenced by his friend Dr. Maunsell. He became a popular theatre critic for the Dublin Evening Mail and gave this profession a much needed esteem. In 1876, his favourable review of Henry Irving's play, ‘Hamlet’ at the Theatre Royal in Dublin, earned him a lifelong friendship. His first writing was "Sensationalism in Fiction and Society” during his tenure as the president of the University Philosophical Society. In 1879 he published his first literary work, ‘The Duties of Clerks of Petty Sessions in Ireland’. This, later on, was accepted as the handbook in legal administration in Ireland. He moved to London and worked as Henry Irving’s manager. 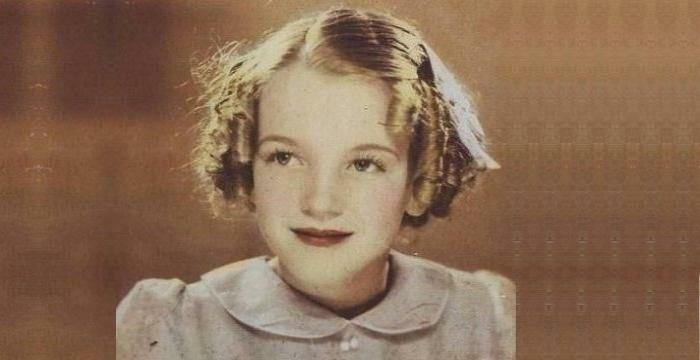 He performed managerial, secretarial, and even directorial duties at Lyceum Theatre for almost 27 years. Stoker worked as the literary staff at the The Daily Telegraph from 1897. During this tenure he wrote the horror novels ‘The Lady of the Shroud’ and ‘The Lair of the White Worm’. Stoker published his horror fiction ‘Dracula’ in 1897. It revolved around the meetings of Jonathan Harke with the blood-thirsty Count Dracula. The bloodcurdling tales haunt readers even after a hundred years. After Irving’s death in 1906, Stoker published his ‘Life of Irving” which proved to be successful, and continued to manage the productions at the Prince of Wales Theatre. He had written many short stories which were not published. The collection of his short stories was posthumously published in 1914 by Stoker’s widow, Florence. The great-grandnephew of Bram Stoker, Dacre Stoker, with encouragement from screenwriter Ian Holt, wrote a sequel to the original novel. In 2009 ‘Dracula-The Un-Dead’ was released. Their inspiration was the handwritten notes of Stoker himself. He is popular as the least known author of one of the best-known books written. In 2012 November, on his 165th birthday, Stoker was posthumously honoured by Google with a doodle on its homepage. Both Oscar Wilde and Bram Stoker wooed Florence Balcombe, a celebrated beauty. Stoker successfully impressed her and married her in 1878. Their only child, a son, was born the following year. Stoker was known world over as the personal assistant of Irving. The settings of most of his stories were inspired by the places he visited during the travels with Irving. He stood to gain from the association with Irving, as it opened doors to the high society of London. He got the opportunity to be associated with James Mcneill Whistler and Sir Arthur Doyle. The first film adaptation of ‘Dracula’ was released as ‘Nosferatu’ in 1922, ten years after his death. The release was mired in royalty dispute between the producers and his widow. 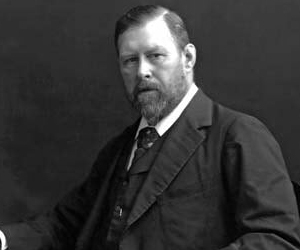 Bram Stoker died on April 20, 1912 due to multiple strokes at St. George’s square. He was cremated and his ashes placed in a display urn at Golders Green Crematorium, which is, even today, a tourist attraction. In his lifetime he was not a recognised writer. On his death, none of the obituaries mentioned ‘Dracula’. The event of his death was overshadowed by the sinking of the Titanic in the same week. The title of the most famous horror novel ever published was changed at the last minute. The original title was ‘The Un-Dead’. Its manuscript was purchased by Microsoft co-founder Paul Allen.